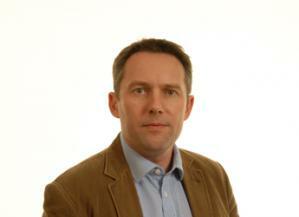 Richard Allan is the Business Sector Lead: Environment at the James Hutton Institute. As the Business Sector Lead: Environment, Richard is accountable for developing the research opportunities on natural capital, biodiversity, sustainability, the circular economy, water and other environmental topics. Prior to working at the institute, Richard started his career in the whisky industry working as a chemist at William Grant and Sons and was involved in quality control, process optimisation and new product development. Richard went on to become the Chief Scientist at Scottish Water and then latterly Managing Director of Scottish Water Horizons and was responsible for delivering sustainable renewable energy for Scottish Water through wind, hydro, solar and waste recycling projects along with providing a range of other services. Richard has 25 years' experience in industry and current holds the Chair of the Strategic Advisory Board: Environment at CEN. His PhD is in Risk Analysis and is focused on risk management performance of utilities. Akunna, J.C.; O'Keeffe, J.M. ; Allan, R. (2017) Reviewing factors affecting the effectiveness of decentralised domestic wastewater treatment systems for phosphorus and pathogen removal., Desalination and Water Treatment, 91, 40-47. Allan, R.; Wilkinson, M.; Dodd, N. (2016) The North Glasgow integrated water management system: a review., Project Report for CREW, CD2015_05, 18pp. Machell, J.; Prior, K.; Allan, R.; Andersen, J.M. (2015) The water energy food nexus - challenges and emerging solutions., Environmental Science: Water Research and Technology, 1, 15-16. Machell, J.; Prior, K.; Allan, R.; Andersen, J.M. (2015) Drinking water purity - a UK perspective., Environmental Science: Water Research and Technology, 1, 268-271. Helwig, K.; Craft, J.; Teedon, P.; Barrie, P.; Pahl, O.; Allan, R. (2015) Inspiring aquatic monitoring: A review of innovative approaches to monitoring the aquatic environment., Project Report for CREW, CD2014_20, 28pp. O'Keeffe, J.; Akunna, J.; Olszewska, J.; Bruce, A.; May, L .; Allan, R. (2015) Practical measures for reducing phosphorus and faecal microbial loads from onsite wastewater treatment system discharges to the environment: a review., Project Report for CREW, CD2014_13, 49pp. Allan, R. (2013) Barriers to market entry into the water sector in Scotland., Report for Highlands and Islands Enterprise. Allan, R.; Mauelshagan, C.; Luis, A.M.; Jeffrey, P.; Pollard, S. (2013) Making risk management stick: reflections on risk governance in water utilities., In: Thompson, K.C. ; Borchers, U. & Gray (eds.). Water Contamination Emergencies: Managing the Threats. The Royal Society of Chemistry, London. Allan, R.; Jeffrey, P.; Clarke, M.; Pollard, S. (2013) The impact of regulation, ownership and business culture on managing corporate risk within the water industry., Water Policy, 15, 458-478. Allan, R. (2012) Water sustainability and the implementation of the Water Framework Directive - a European perspective., International Journal of Ecohydrology and Hydrobiology, 12, 171-178. Graham, M.C. ; Allan, R.; Fallick, A.E. ; Farmer, J.G. (2006) Investigation of extraction and clean-up procedures used in the quantification and stable isotopic characterisation of PAHs in contaminated urban soils., Science of the Total Environment, 360, 81-89.